Shah Rukh Khan's daughter Suhana is becoming the Internet's new favourite. A photograph of 17-year-old Suhana in a bikini, which was shared on social media earlier this week, have resurfaced on Tuesday and is going viral. Folks on the Internet have also identified Suhana's companions as Chunky Pandey's daughter Ananya Pandey and Shanaya Kapoor, Sanjay Kapoor's daughter. The photograph, in which Suhana, Ananya and Shanaya can be seen wearing trendy swimwear, was initially Instagrammed by unidentified accounts bearing Suhana's name. Suhana, Shanaya and Ananya appear to be somewhat like a BFF trio, there's proof on social media. Suhana also loves to hang out with Shanaya and Ananya on Snapchat, evidence of which has been curated by fanclubs on Instagram. Suhana is living the teenage life to the fullest. She was recently spotted catching up with her friends in Bandra. 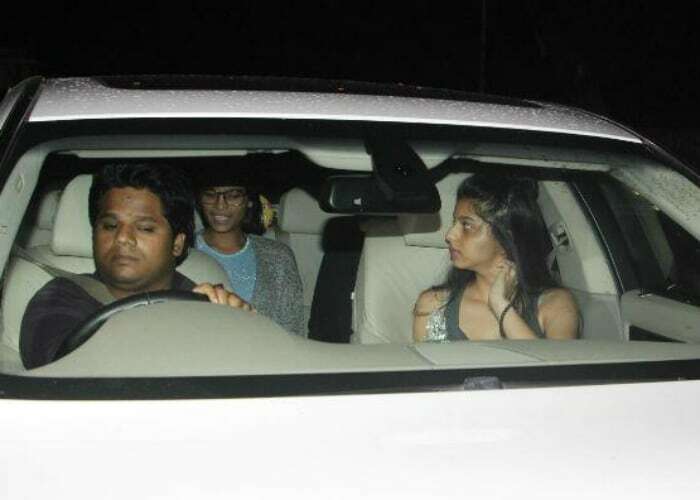 Earlier this year, Suhana also trended after pictures of her from a house party went viral. Suhana Khan recently celebrated her 17th birthday and was wished by mother Gauri Khan with a delightful portrait. Meanwhile, admirers of Suhana, beware of Shah Rukh Khan. The 51-year-old actor has laid down strict rules for anyone hoping to date his daughter. "Understand I don't like you," read the second one on the list. Suhana is reportedly looking forward to a career in movies and is expected to join an acting course abroad after finishing school. She is a student of Mumbai's Dhirubhai Ambani International School. Suhana's elder brother, 19-year-old Aryan, is currently studying films in London in the University of South California. Meanwhile, Shah Rukh's youngest son AbRam turned four last month.